I am trying to find some history on my engagement ring purchased from an antique fair last year. The only thing I can decipher for sure is that it's 9ct gold. 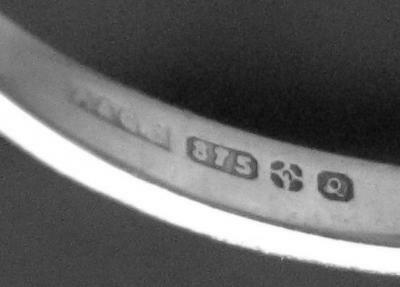 I have attached a photo of the rather worn Hallmark and would love any further information.